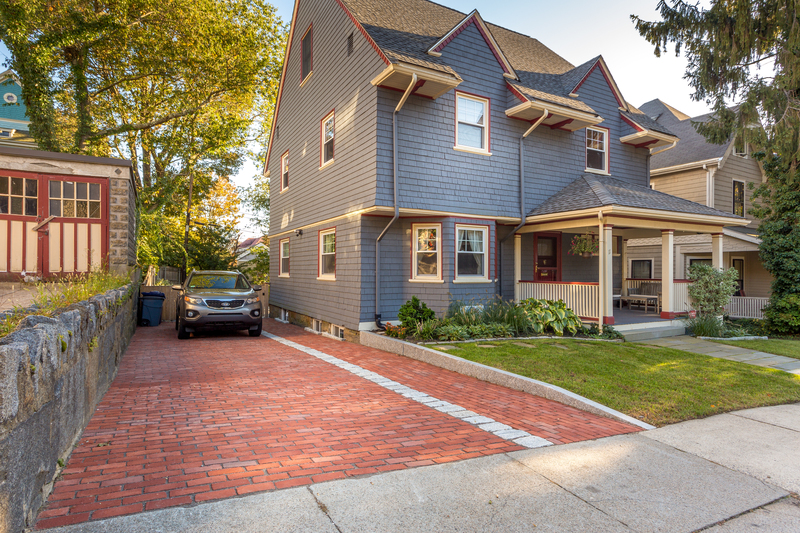 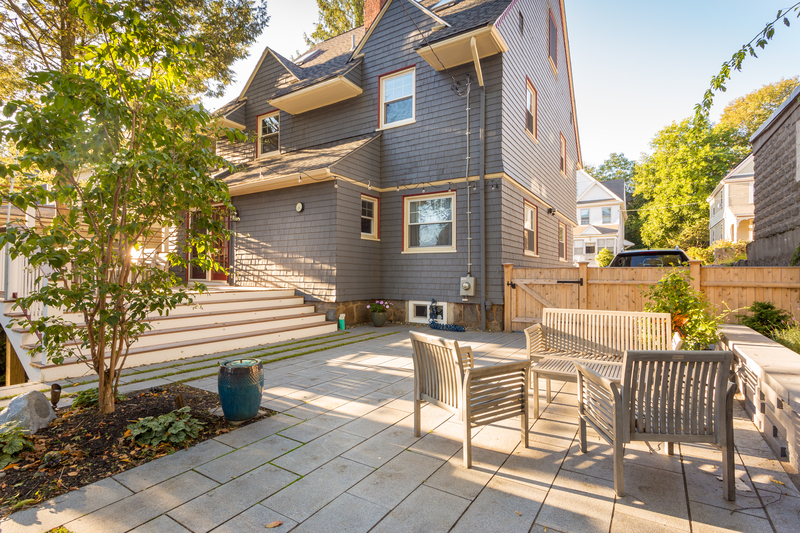 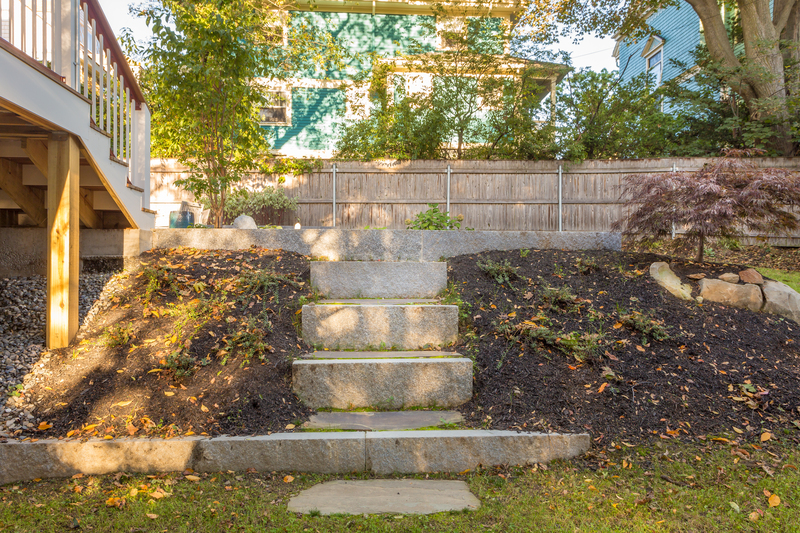 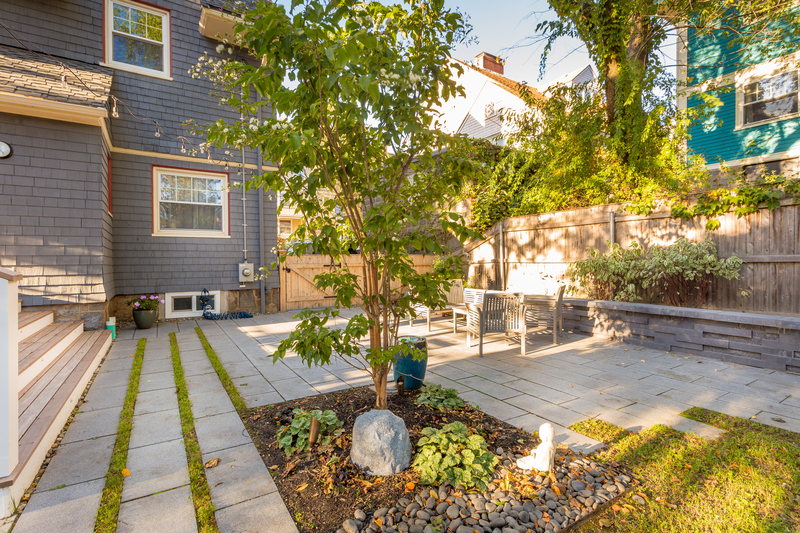 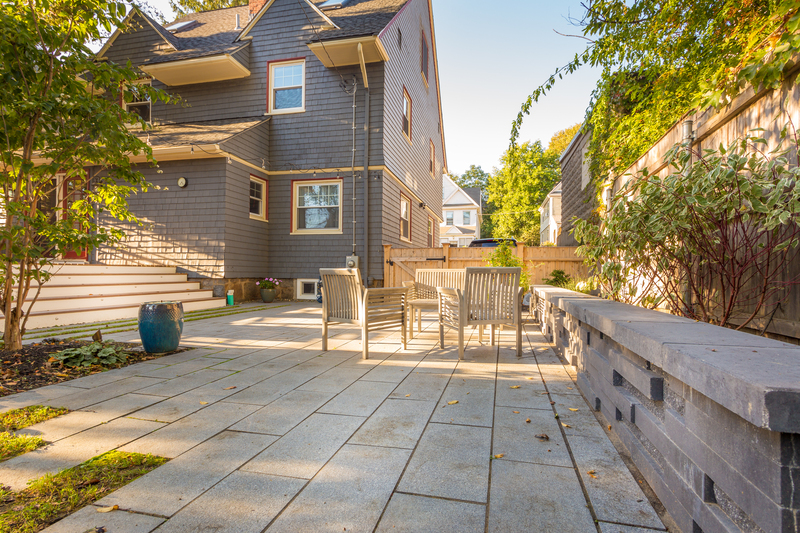 This Dorchester property is all about harmony, using modern and traditional materials that blend together perfectly. 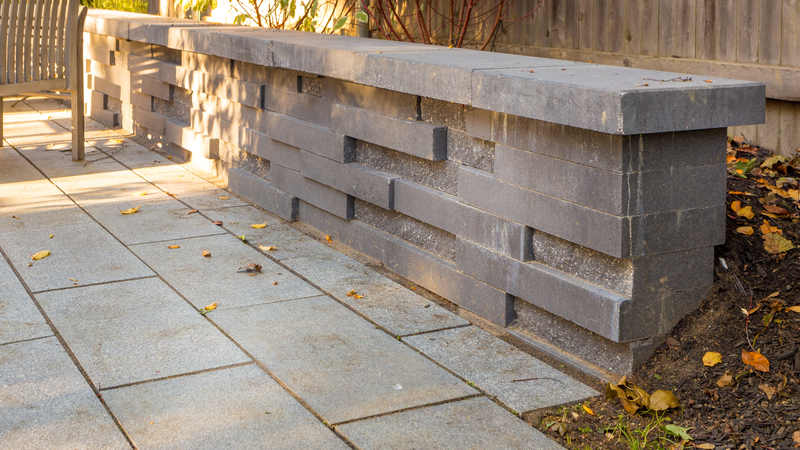 The granite patio incorporates a modern architectural sitting wall. 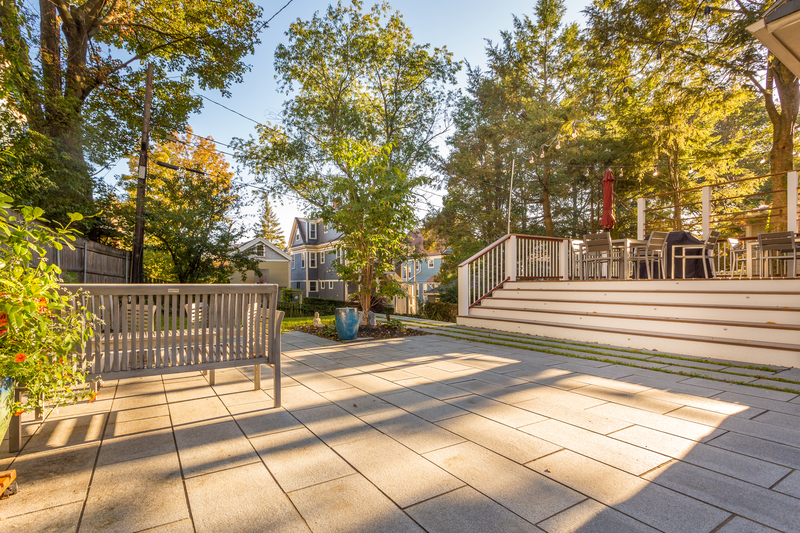 Multiple sitting areas on the deck and patio are ideal for entertaining guests or sitting back to relax. 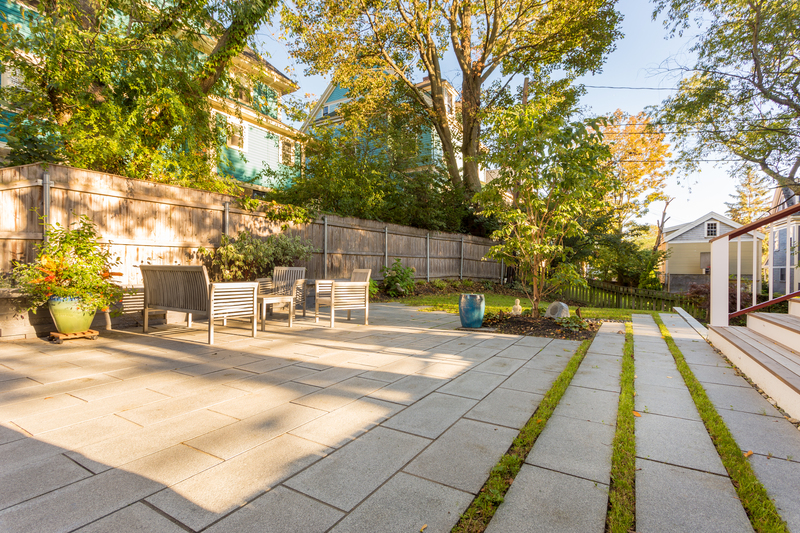 Staggered granite flagstones mix seamlessly with a “low mow”, environmentally friendly clover lawn. 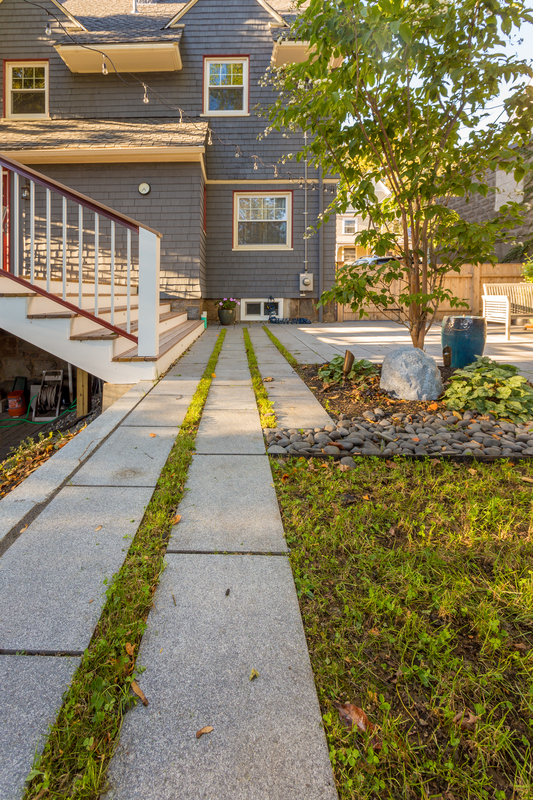 New front and back gardens, an optimized irrigation system, and well-placed lighting complete the picture. 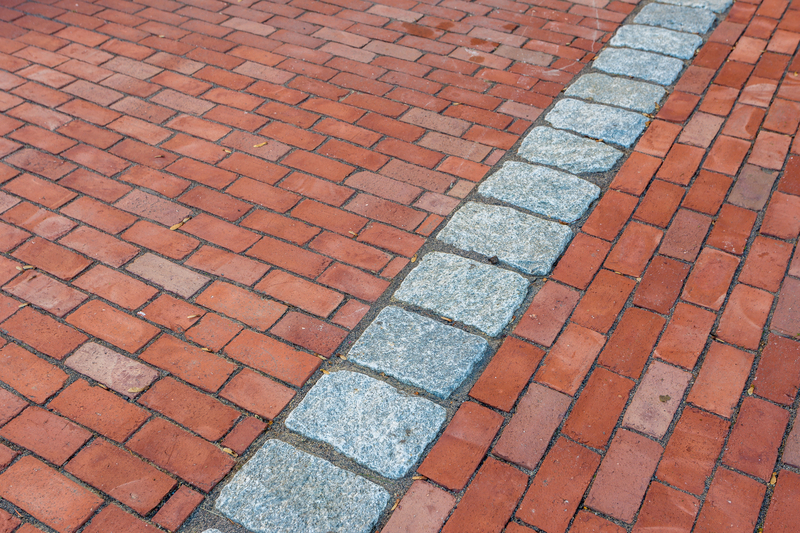 Red brick and cobblestone intertwine on the pièce de résistance — the driveway. 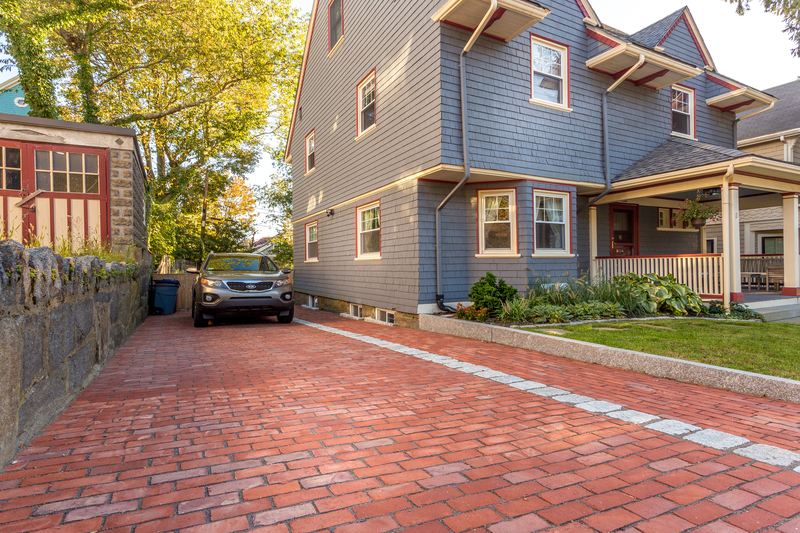 Red brick creates an amazing contrast between the lush green of the lawn, blue wood siding of the home and the driveway itself. 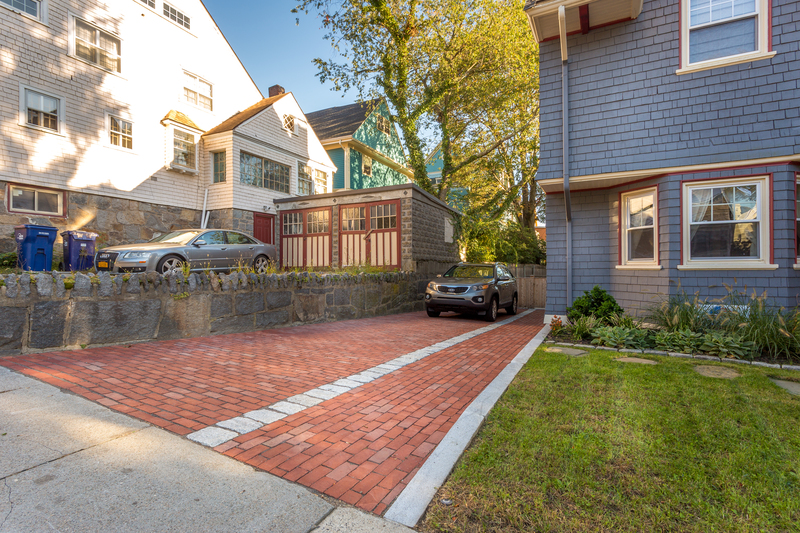 The gray cobblestone accent line draws the eye towards the home and beckons guests towards the wooden fence, swinging gate, and inviting backyard. 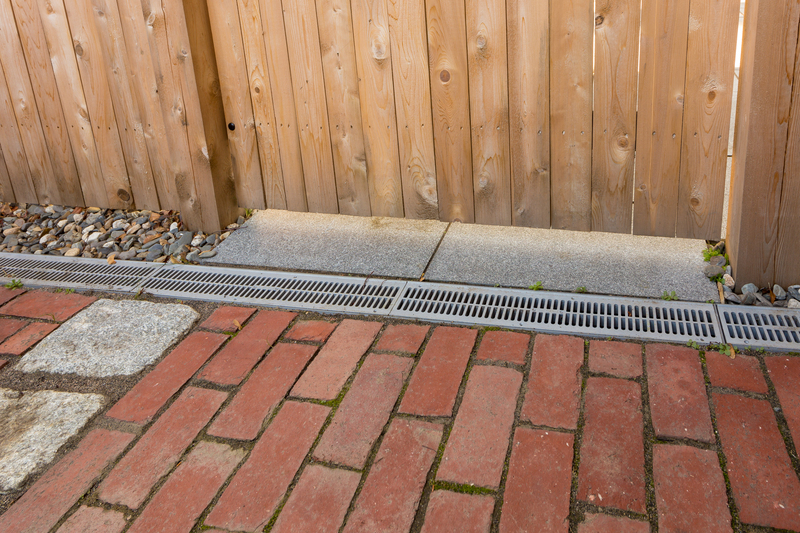 Subtle yet functional drainage grates at the end of the driveway’s gentle slope provide excellent water management.